When done well, the art of repetition allows words to sink into the core of your spirit. At the core of language and music is the pressing reality that everything has been done before. The task of any musician—or writer—is to take what is familiar and reinvent it; to repurpose words and sounds into something new. So, if the concept of newness is founded on this idea of artistic recycling, then the next step or challenge isn’t just to reuse these words in innovative ways, but to toy with this idea of originality itself; to create something distinct, and then use it repeatedly to invoke a new spirit. Music rests on the recycling of repetition: chords get repeated, lines are chanted to make choruses, and old songs are chopped and looped to make samples. But in the hands of some musicians, repetition is powerful—it’s an opportunity to repeatedly deliver a lyric and mean something different with each utterance or to inspire new feelings and more thought with every echo. There’s a burrowing feeling that comes from hearing something on a loop. As these sensations get further underneath our psyche, they quickly balloon, taking up all the space in our heads and consequently weighing us down. This mind-numbing feeling is the default response to Solange’s newly-released album When I Get Home. There is a crawling heaviness to the opening track “Things I Imagined,” where the phrase “I saw things I imagined” is sung in every way imaginable. Space to breath is seldom snuck between every word, whether in between lines and or as she breathlessly begins anew by cutting herself off. Either way, there is always some play with the titular line. 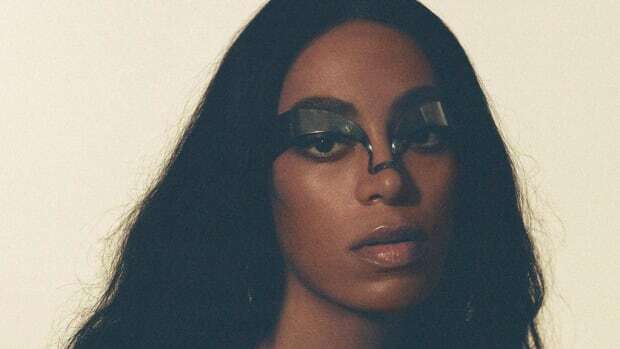 Solange’s new album, as has been consistently discussed, carves out space for her to reinvent home; to reimagine her native Houston as her playground, toying with the sounds that raised her and the sounds she’s known for in ways that tilt the envelope forward. In this regard, “Things I Imagined” is the thesis. From the outset, Solange trades the more direct narrative impulses of her last album, 2016’s A Seat at the Table, for an album that cares much less about being driven forward. The kineticism of ASATT is characterized in the lyrical intent; she told her stories and explicitly remarked on the world around her. But When I Get Home steps away from these goals. 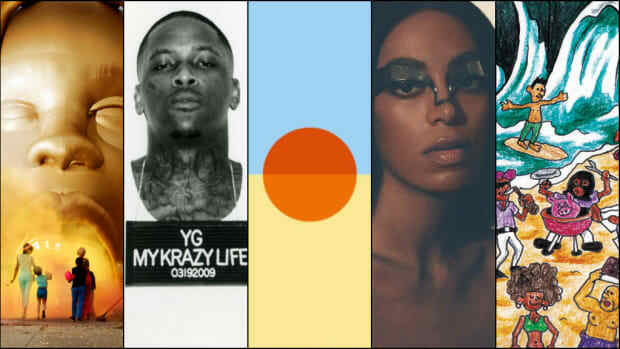 If songs are immortalizations of ephemeral feelings—true snapshots of a point in time—then the opening track on When I Get Home is a Kodak of Solange’s capacity to dream. Every utterance of “I saw things I imagined” causes listeners to lean into the meaning of her phrase. 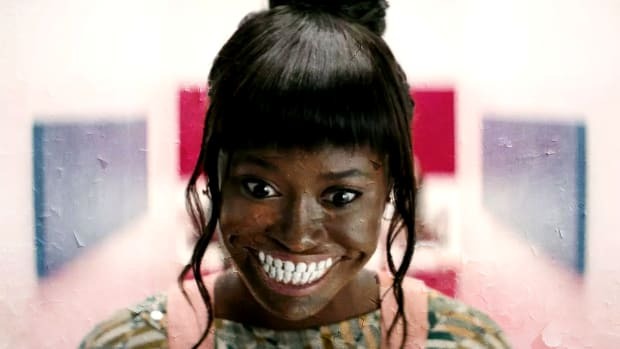 What is she seeing? What is she imagining? And what does she mean? Eventually, confusion dissipates into calm confidence, like the mental gathering that is self-evident on the face of an adolescent perched atop the high-dive board for the first time. As Solange remarked on Twitter, the repetition was an example of self-convincing growth. For the first minute of the song, Solange repeats the line over swelling synths. In real time, this allows the audience and Solange to come to an understanding. But as we reach an apex of self-assurance, Solange lets her voice subside and the music steps into the foreground. Of course, measured confidence as an approach to lyricism isn’t unique to this track. Solange’s sparse lyrical frame characterizes the whole of When I Get Home, and, in part, is a nod to the post-Songs in the Key of Life scarcity of Stevie Wonder’s Journey Through the Secret Life of Plants. It’s the subtle repetitive touches, however, that allows the album to feel like an invitation to the space built up by how her lyrics stack and surround you; a numbing sense of pensive comfort that feels like having your feet up on a couch in the sweltering heat of a humid Houston home. 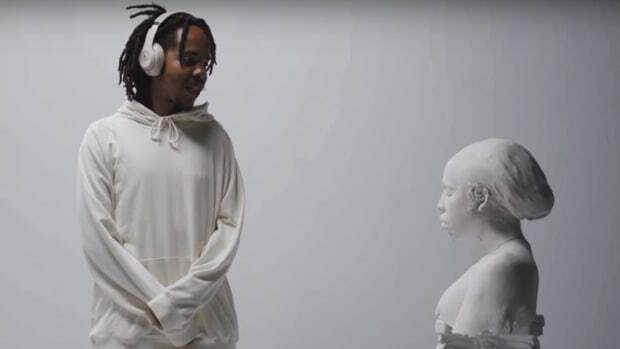 “I know I’m a king,” Earl begins, “stock on my shoulder I was sinking.” The urgency leaks through his raps the first time through. The second recital brings a sense of familiarity that begins to claw and pull at you, submerging you beneath the weight of Earl’s words. By the third repetition, you’re sitting at the bottom of the pond next to Earl looking up at the churning tides above. With every subsequent iteration, the water turns into a deeper shade of red. On “Shattered Dreams,” Earl introduces the imagery of his sleepwalking-masked bleeding: “Why ain’t nobody tell me I was bleedin’? / Please, nobody pinch me out this dream.” The aimless wandering, the struggle responsible for this collection of rap songs, and the wound he didn’t recognize was leaking blood into the darkening red water are all born of the strained relationship he had with his now late father; the relationship that caused him so much pain he failed to realize he could find clarity. 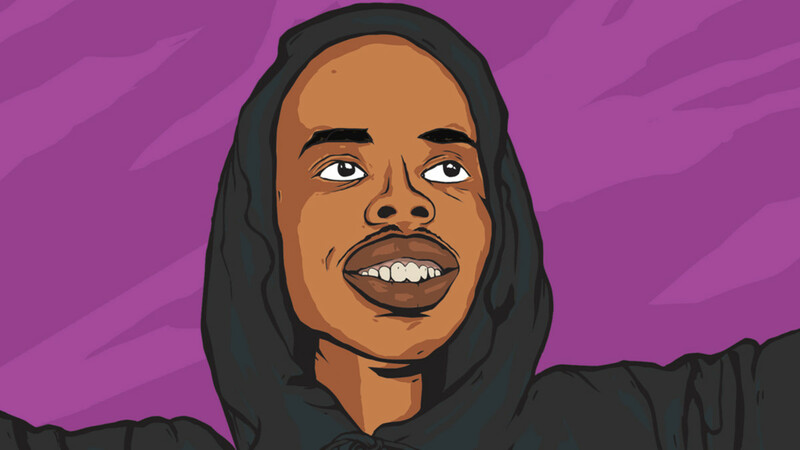 “Red Water” is notable not just because of how willing Earl is to confront the misgivings in this relationship—in that it shares with the rest of Some Rap Songs—but because of how Earl goes about it. 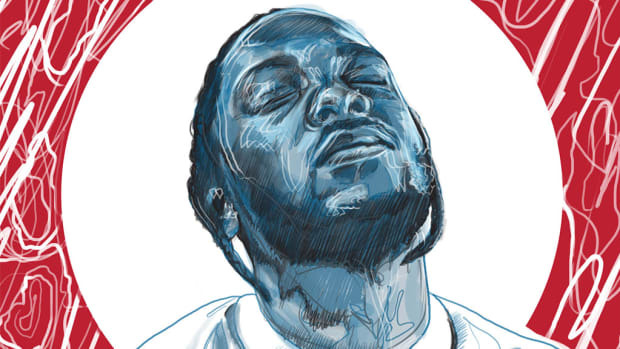 Generally, repetition is the enemy of brevity, and for an album that clocks in at a brisk 25 minutes, the decision to rap a single refrain three times feels wasteful. 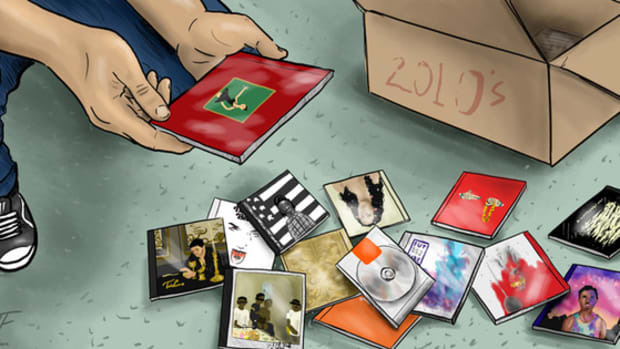 Set in the context of Some Rap Songs, however, the decision to dwell on what’s most important is bold. Earl, like Solange, recognizes that world building and absorbing an audience is in part about challenging us to consider the weight of words and about stacking the walls of your album so high listeners cannot—or simply do not want to—leave. Each run through is another layer; another wall erected to house us. The recurrence of tight loops and this brief verse gives us the chance to admire the four walls more closely. Upon inspection, however, we see the cracks: the creeping suspicion that clarity means being able to see the fingers on your soul and the pains characteristic of your life. Clarity is recognizing that the foundation of your home is shaky. For Angel Bat Dawid, clarity can be found in the liberating act of claiming your freedom—freedom steeped in the free jazz and cosmic leanings found littering her February release The Oracle. The album, which is performed and mixed entirely by Bat Dawid aside from the dueling drums played by Asher Simiso Gamedze on “Capetown,” maintains a focused touch of creative vision. This vision is flipped and bent into jazz molded after the direction of Sun-Ra, and bathed in the richness of Black history, but on “What Shall I Tell My Children Who Are Black,” Bat Dawid wields her overdubbed voice as an instrument to hypnotize her audience. They are faced with abhorrence of everything that is black. Villains are black with black hearts. A black cow gives no milk. A black hen lays no eggs. Bat Dawid recorded and performed The Oracle all over the world, but Chicago is her home. In honor of that home, she lifts the first lines from Dr. Burroughs’ poem, repeating the question “What shall I tell my children who are black?” and the qualifier “of what it means to be a captive in this dark skin” throughout the album’s third track. For Solange, repetition served as a confidence builder, and for Earl, it was a bold attempt to name, consider, and move forward. In the case of Bat Dawid, it serves to fundamentally alter the listener’s perception. Semantic satiation happens when words lose their meaning because they’ve been heard so often, but Bat Dawid repeats her question in full so many times it transitions from a stirring phrase that lays plain the considerations of parenting black boys and girls to earnest pleas of despair, to a phrase of sonic intricacies so hypnotic that the words are inscribed on the walls of our hearts. The words have been internalized so fully that we are no longer actively pondering their denotations, but instead, we are living the clawing despair of the lines and feel their weight in the prying contralto of Angel’s voice. The sturdiness of her voice and her instrumentation allow the simple refrain to balloon and press on our psyche, even after we’re no longer actively trying to answer her question. Bat Dawid commands complete attention. She grabs hold of our hearts and minds, even if we don’t acquiesce consciously, and persistently asks Dr. Burroughs’ question: “What shall I tell my children who are black of what it means to be captive in this dark skin?” And with the rest of The Oracle, she gives the answer: you tell the truth, the whole historically-obscured pride-inducing truth. The answer isn’t what is important, though—it’s the decision to ask. The act forces us to open up and surrender to its meaning. In this way, Angel Bat Dawid sticks a flagpole in her album, signaling the capabilities of repetition. Like Solange and Earl Sweatshirt, she recognizes repetition to be a musical tool that forces consideration for sounds, statements, and ideas. It isn’t just the quickest way to craft a hit or achieve pop-culture ubiquity. When an artist uses repetition, there is nowhere for them to hide. When done well, the words sink into the core of your spirit. You see and imagine the same world as Solange, you sink and swim in the same pools as Earl, and you answer the same questions Angel Bat Dawid ponders every day. The same questions. Every day. 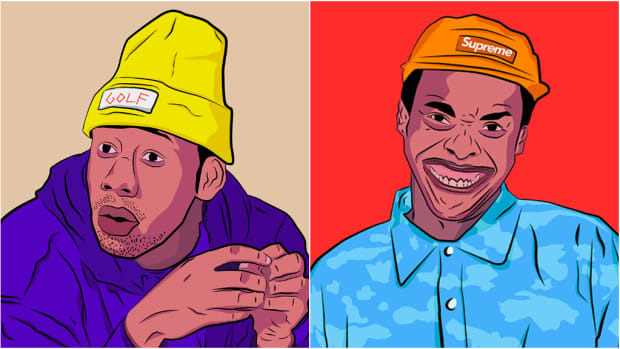 Tierra Whack, Pink Siifu, and Earl Sweatshirt are all gaming the system. And it, resoundingly, works. The lesson is that prayer can be anything. Earl Sweatshirt's 'Nowhere, Nobody' Co-Director Breaks Down Film: "They Have the Code"
The short film 'Nowhere, Nobody,' co-directed by Naima Ramos-Chapman, reflects the life and perspective of Earl Sweatshirt. Sometimes, all your favorite music needs is a little color. On 'When I Get Home,' Solange is saying that blackness is not and should not be for everyone.